Volunteer in Uganda with Volunteering Solutions that offers placements in and around the capital city, Kampala. 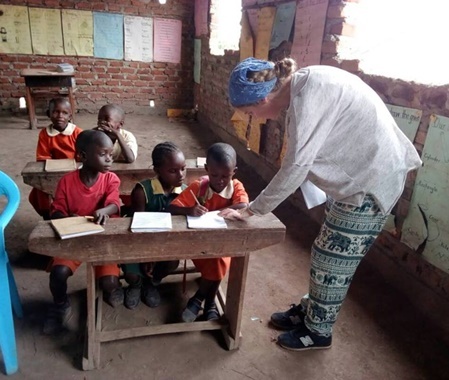 The opportunities in Uganda varies from teaching children at local schools to working at Child Care Program and providing a helping hand in community development and construction work. 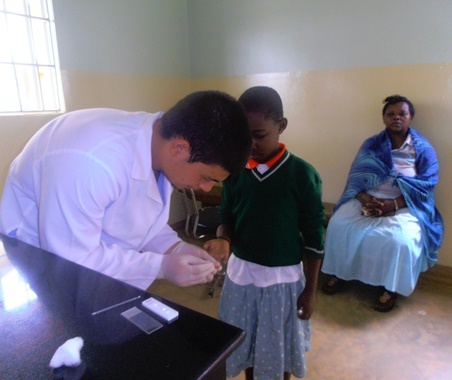 Medical and pre-med students can also join the Medical and Healthcare Volunteering Program, and work with doctors in rural healthcare centers.No matter which project you choose, your volunteering journey in Uganda will let you make a difference to the society. With uncountable places to explore, from the snow-capped Rwenzori Mountains and gorgeous Lake Victoria, Uganda never fails to amaze the travelers who are keen on discovering the least traveled roads in the world. For the nature lovers, Uganda will be a treat. 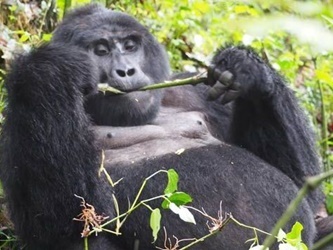 Bwindi National Park and Mgahinga Gorilla National Park are the two places where one can surely find the mountain gorillas – and there are special treks organized for the animal lovers. You can also take a trip to the Queen Elizabeth National Park. Make your travel bucket list and discuss your weekend plans with the country coordinator, as they'll be the best people to guide you. Go for the Gorilla Trek - The best plan for the weekend would be to head off to Bwindi National Park for the adventurous Gorilla Trek! Bwindi National Park is often termed as ‘an impenetrable forest’ due to its thickness and the steep rough paths that often make it an adventurous walk. The number of mountain gorillas is decreasing by the day, and before this species get extinct, why not spot them amidst the wilderness! Weekend city tour of Kampala - Visit the Kasubi Tombs which are also considered as UNESCO World Heritage Sites. If you are interested in cooking lessons for traditional Ugandan meals, traditional dance classes, etc, then you must visit the Ndere Centre, which is the cultural hub in Kampala. Take a tour of the Ugandan Museum to know more about the country’s past. Apart from these, you can also visit the Bulang (the Parliament of Uganda), the Gaddafi Mosque (built by the Libyan ruler Muammar Gaddafi), the Baha’i Temple and much more.? Spot the chimpanzees at the Kibale National Park - Adventures in Africa will never cease - you can hop from one National Park to another and keep meeting the primates, as well as other animals. The Kibale National Park forms a continuous forest with the Queen Elizabeth National Park, having one of the most unique wildlife corridors in the world. 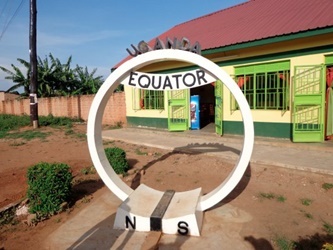 Get your photos clicked at the Equator Point - The imaginary line that divides the Earth into two hemispheres apparently passes through Uganda, and it’s one of the most popular tourist spots! Everyone visiting Kampala goes to Kayabwe in Mpigi District to get their photos clicked at the Equator Point. When should I apply for the volunteer programs in Uganda? It is advised to apply for the projects once the volunteering/ traveling dates are decided as there are limited spots available. The application fee is valid for one full year and can be sent earlier than the desired year of volunteering for timely confirmation of the seat. As soon as you decide the travel dates, we suggest you apply for the program and hold your spot. We abide by the first come first serve policy. 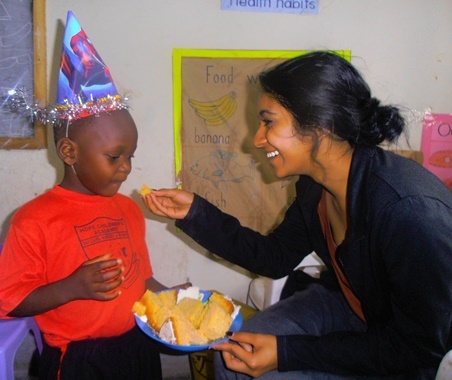 Are there any necessary requirements to participate in the Uganda volunteer programs? Clean Criminal Background Check Report for participants joining Childcare and Teaching Projects is necessary. Yes, you are welcome to take part in Uganda Volunteer Program as part of a group. We welcome families, friends, high school students, college/university and corporate groups to volunteer together in the Uganda program. What are the Program Locations in Uganda? 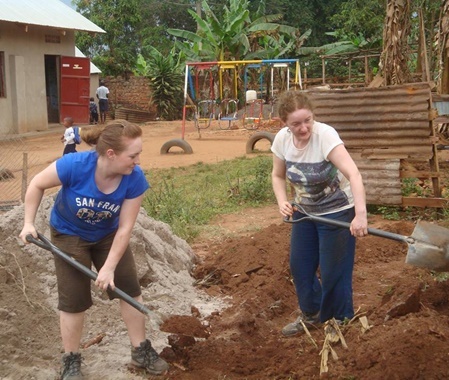 Volunteering Solutions offers projects placements in the suburban areas of capital city Kampala and in and around the town of Mukono which is around 30 km from Kampala. Interested participants working in the town of Mukono can also visit Jinja- which is the source of river Nile. 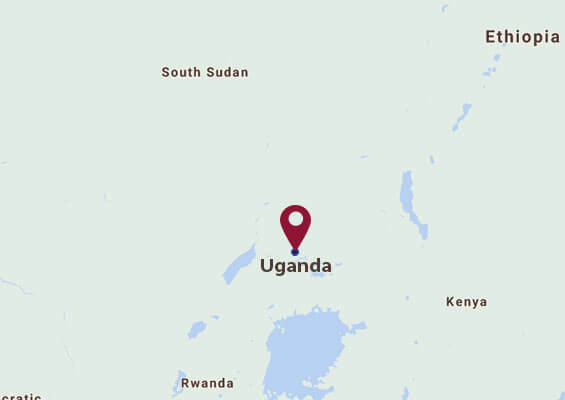 When do I need to arrive in Uganda for my program? What will happen once I arrive there? All volunteers need to arrive at Entebbe International Airport on the program start date i.e Sunday. Our in-country coordinator/representative will pick you up from the airport and take you to the accommodation. Our in-country coordinator would give you an orientation about the program, placement, accommodation, facilities around the accommodation and placement, local customs, safety etc. Once you get familiar with the accommodation and surrounding area, you can relax for a while. If you are already in Kampala or arriving in Kampala by road, please provide us with the necessary details like your contact number and arrival time/location, so that we can coordinate/arrange? for the pickup. Volunteers usually work for 4 to 6 hours a day depending on their program. You will have weekends off so you can travel on weekends. However, volunteers need to be flexible, open minded and understand that work requirements can change as well on certain occasions. All participants traveling to Uganda can obtain Visa by applying at Ugandan Embassy/High Commission located in their country of residence. Citizens of some countries can also get the Visa on arrival. Please consult the Ugandan Embassy / High Commission for more detailed information. Participants can also apply for E-Visa to Uganda. To apply for E-Visa, click here. What are the recommended airlines to fly to Kampala, Uganda? Entebbe International Airport near Kampala is well connected with majority of the airlines from all over the world. Major airlines flying in and out of Uganda are KLM Royal Dutch Airlines, Turkish Airlines, Emirates, Qatar Airways, Kenya Airways, Etihad Airways, Lufthansa, Delta Airlines, Air France. How safe is Uganda in general? Uganda is one of the developing countries in East Africa. People in Uganda are very warm and hospitable. In general, Uganda is a safe destination. You will be given safety precautions and instructions by the local coordinator team during the orientation as well as in your Pre-departure handbook after you become an enrolled participant. However one needs to consider local customs and follow local practices. All participants are recommended to consult their physician or travel doctor before traveling to Uganda. To view the general list of vaccinations recommended for your travel to Uganda, click here. Volunteers in Uganda are provided accommodation with either a host family or at a volunteer house (subject to availability).You may let us know your preference and we will try our best to accommodate you. It is shared accommodation. The accommodation has all the basic facilities which ensure a comfortable and safe stay to our participants. In the Orphanage Project, accommodation is can be provided in the project premises as well. Participants are provided with 3 meals a day, i.e. breakfast, lunch, and dinner, from Monday to Friday. Breakfast and dinner would be at the accommodation whereas lunch would be provided at the program location. Breakfast includes tea/coffee, bread, jam, fruit and one dish (eggs, porridge, French toast, cereal etc.). Lunch is mostly prepared by local families or community members and typically includes meat (beef or chicken or fish), potatoes and rice. At times the program coordinator may take you to a local restaurant for lunch. Dinner includes vegetable, meat (once or twice a week), rice, maize etc. On weekends, breakfast and dinner would be provided at the accommodation. For lunch, you can try out some local restaurants. The program coordinator would be happy to guide you to the restaurants or food joints. If you go for a tour, then you can have lunch at a local restaurant there. Always be wary of local street food as most of the times it is contaminated or half cooked or made with unhealthy components. It is not advised to consume tap water directly, however for cleaning purposes like brushing your teeth, tap water is fine. You can purchase packaged water bottles from a supermarket for consumption. Your program coordinator or a member of the local coordinating team will take you to your placement and introduce you to everyone after giving you a basic orientation about the program, its surroundings and other facilities around the location. There will be an assistant program coordinator present at the program location. If the program location is within walking distance from your accommodation, then you need not ?worry about transport. In case the program location is a little further away from your accommodation, then you will be commuting to and fro by a car or boda-boda (motorcycle). Depending on your project placement, you will get evenings and the weekends free, to travel and explore the place.During the free time on weekdays, you can venture out for a walk to the main market and explore some of the good restaurants. However, we would recommend not to stay out after 7 pm. On the weekends, you can go for the weekend trips like Source of the Nile at Jinja or a visit to Entebbe Zoo or a trip to the Equator. There are safari tours as well. Please contact our travel desk for more information and book the trips. Are there any cultural restrictions especially regarding clothing? We recommend bringing comfortable clothing like T-shirts, sweat shirts, jeans, skirts etc. Since the region is near to the Equator, light showers are pretty common, and the nights are little colder so carrying a jacket would be a good idea.The main idea is to be dressed comfortably and modestly. The country has a different set of customs and traditions and it is always a good idea to be respectful towards their beliefs and follow the local customs. Sports shoes or sandals, basically comfortable footwear must be included. Are there more expenses once I arrive in Uganda? Your program fee does not cover your personal expenses. You will need to provide for yourself your personal expenses, such as bottled water, local transport, telephone, shopping, sightseeing etc. However, you should carry around $40-$50 per week for your basic personal expenses. This amount can vary and you would need a higher amount if you choose to go on weekend trips out of town. The return trip to the airport is approximate $40-$50 depending on your location. Where can I change my money in Uganda? Are there ATMs in the city? You can change some money upon your arrival at Entebbe Airport. You can also change money at any of the banks near to your accommodation or program location. We recommend not changing a large amount in a single transaction. Instead, we recommend you to change money after 3-4 days as per your requirement. There is a very good network of ATMs as well. Where can I get a local SIM card and are there internet cafes? You can get a local SIM card from the local market. You can get it from a company store or from any shop selling prepaid SIM cards. You need to show your passport. Airtel and MTN are the leading telecom operators. There are internet/cyber centers in the main market if you wish to browse the net. We encourage volunteers to get in touch with former Volunteering Solutions program participants and also other program participants joining our projects. You are recommended to join the Volunteering Solutions Facebook Page or Facebook Group to communicate with other participants.